Homeschooling requires diligence and persistence through successes and challenges. Support groups can provide a place for the homeschool family to connect with like minded individuals. They can provide inspiration, encouragement, and relationships. Each support group has its own flavor and purpose. Many have a nominal annual fee to participate, monthly meetings, and email information networks. These can offer a great level of support to both new and veteran homeschoolers. As I cannot be personally aware of every support group in the Chicagoland area, this list does not indicate endorsement by me or this site, rather it is merely a directory for information purposes. I would encourage you to email, visit, and ask questions to assure the best fit for your family. A not-for-profit Christian organization composed of families dedicated to the success of home education in Illinois. A network of dozens of nonsectarian support groups throughout Illinois. We currently do not have any Support Groups for Boone County. If you know of any, please let us know by using the Submit Information page. The Northside Unschoolers is a support group for homeschooling families that practice child-led learning. The group is comprised of approximately 80 diverse families with children ages newborn to 18. Homeschoolers of all stripes are welcome to join in any of our activities. Currently, we offer a weekly Park Day on Mondays, weekly Beach Day on Fridays, Girl Scout troop, drama classes, Mothers’ Teas and occasional parents’ meetings. Annually, we have a Family Camping event (usually held in June), and a Family Pot Luck Picnic Dinner (usually held in early September. Occasionally parents organize field trips and classes in nature, science, math, sewing or other interests. We are an all inclusive, private home schooling group whose families reside in Chicago’s Northwest Suburban area including: Northwest Cook County, Northwest DuPage County and Northern Kane County. Presently we are a group of 25 families whose children’s ages range from infant-17 years old. For those looking for a group with teens: We have an active group of teenagers who consistently participate in the scheduled activities. Arlington HOUSE is a nonsectarian homeschooling support group in the northwest suburbs of Chicago (Arlington Heights, Des Plaines, Mount Prospect, Palatine, Rolling Meadows). We have about 25 families with children ranging from newborn to mid teens. We meet the second Friday each month (Sept – May) from 1pm to 2pm at the Chicago Ridge Public Library for various educational presentations and some time for families to visit afterwards. Beacon is a Christian support group for parents who home educate their children. They meet the fourth Tuesday evening of each month during the school year. Their membership is open to any home schooling family for support. The goals of Beacon are to offer opportunities for fellowship, encouragement, field trips, workshops, and resources for their members’ benefit. You are welcome to join them at one of their monthly meetings. Evanston Home Educators provides support, ideas, information and opportunities for group classes and field trips for homeschooling families in the Evanston Area. As a member of the umbrella group Illinois H.O.U.S.E. (Home Oriented Unique Schooling Experience), our group is non-sectarian, and members have many different approaches to and reasons for homeschooling. A Catholic homeschool support group that serves the Joliet and Plainfield areas in Illinois. F.I.A.T. provides opportunities for faith, fellowship, and education for the whole family. We seek to encourage one another as we strive to give our children the formation that they need to become mature disciples of Christ. We plan activities and field trips based on the group’s interests. Our membership is active in organizing clubs, special events and regularly scheduled activities. We each contribute our time based on our abilities and interest. As a non-sectarian group of homeschoolers, our membership comes from a variety of religious and cultural backgrounds. We meet on the first and third Wednesday of each month from 11:30 until 2:30 in Matteson at St. Paul’s Church Fellowship Hall. There is always a theme or program for the kids. The children have many chances throughout the year to present projects on various topics. We have a 4-H club and other clubs when we have volunteers to run them. We have a formal graduation and awards night every June and all the children get certificates for their participation or presentation in activities and events. We have many planned field trip opportunities. Homeschool-Illinois is an online support group for the discussion of topics related to homeschooling in Illinois and surrounding states. Posting of events, organizations and homeschool websites is welcome. Meets in three chapters in South Holland and New Lenox. They are a Christian Homeschool Support Group for the whole Family. They have about 150 families involved with a field trip co-op, Science Fairs, Goegraphy Fairs, Fine Arts Night, and advanced enrichment classes for high-school aged homeschoolers. They have a large cap and gown graduation ceremony for 8th and 12th graders. DeKalb County Home Educators is a secular group of home educating families in the DeKalb County area. This group is for families to connect, share information, and organize fun activities. They welcome families who are home educating their children either part or full time. For the safety of group members, they ask you to attend one public event before being allowed full access to their message boards. If you know of any other groups for DeKalb, please let us know by using the Submit Information page. An inclusive homeschooling support group of families from Will, DuPage, and surrounding counties of Chicago, Illinois. Our weekly meetings provide space for unstructured play and socializing, as well as many diverse activities, classes, and club meetings. We also participate in field trips and outside classes. Teaching Homes for Christ (THC) is a gathering of homeschoolers for the purpose of sharing support and encouragement, obtaining speakers, providing a library, and offering activities for families and students alike. We are an autonomous, all-volunteer organization, but we are affiliated with Illinois Christian Home Educators (ICHE) and ascribe to their general evangelical statement of faith. Meets Monday evenings each month, September through May. Offers speakers, support, and book sale event. FVHE is a Christian homeschool support group based in the Elgin area. They offer field trips, themed expo twice a year, meetings for parents and group social times, Christmas party and an extensive library. NPLH is a Christian support group for moms who home educate their children. They meet monthly during the school year for encouragement and fellowship with speakers and discussions. In between the meetings, they communicate about special events, activities, and member related prayer requests via email. The primary mission of Positive Connections is to support the unique intellectual, emotional and social needs of homeschooling families with gifted and twice exceptional children from pre-school through high school, though we welcome people of all abilities who strive for individualized learning. This inspiring group exists due to the initiative, dedication and generosity of its active and committed members. You may join them if you wish to frequently attend member-organized field trips, cooperative learning opportunities, book discussions, seasonal parties, Mom’s nights, service projects, family events, and more! Meeting the needs of the growing homeschool community, CHARIS has broadened its outreach beyond Kane County to provide increasing support to Christian parents who have chosen to educate their children at home as an alternative to public or other private schools (the State of Illinois recognizes homeschools as private schools). There are many membership benefits to CHARIS families, including support group meetings, an active parent-led co-op, graduation, and family activities. This group is for those already homeschooling or curious about homeschooling young children from preK to about 3rd grade in the Plainfield/Joliet area. While the activities for the group are designed for early learners, older siblings are always welcome to attend. They provide unstructured social activity (park days and play dates) and field trips as well as some group learning activities. They also schedule occasional moms’ nights, parents’ date nights and family activity days. Their purpose is to make lasting friendships for homeschoolers with people who are sharing this homeschooling journey! EVERYONE is welcome regardless of educational methods, religion or special educational needs. They are based in Plainfield and most activities will be in the Plainfield/Joliet area, but there may be travel for field trips. For the safety of members, only requests that answer all the membership questions will be accepted. All new members must attend a public meetup prior to attending a meetup at someone’s home. Their mission is to provide non-sectarian and non-political support and information for homeschooling families, as well as providing socialization and shared educational opportunities for their children. 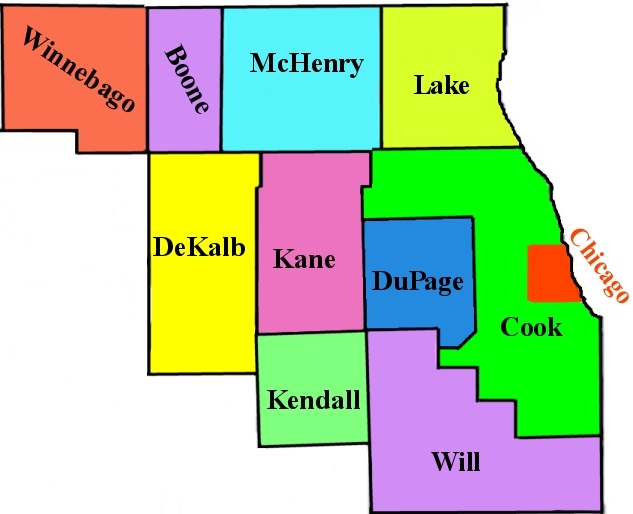 Lake County H.O.U.S.E. provides many clubs and field trip experiences organized by and for its members and others in the homeschool community, as well as a lively dialogue concerning homeschool interests and educational opportunities in the Lake County and Chicagoland areas. New members are always welcome. The ARK offers: Home-School Family Support & Dedicated Resource Center, after school enrichment, activities, ministries & social events, play & meeting space, and academic support. Also available: academic enrichment workshops, special needs, evaluations & assessments, IEP’s, curriculum coaching & design for needs of student, individual or group tutoring, and parent workshops. Monthly meetings, newsletter, field trips, speakers. Offers monthly Activity Days, providing three different classes for kindergarten through 12th grade students. These classes vary and could include classes such as gym, meteorology, reptiles, cooking, occupational info, and professional “assembly-style” programs. There will also be an occasional “Theme Day”. These classes vary from month-to-month and are held on the second Friday of each month from 9 AM until noon. Pre-schoolers have their own class with fun, educational activities. The Homeschool Resource Center exists to provide information, encouragement, fellowship, and resources to Christian homeschooling families. The Center also hosts periodic events that support homeschooling and home discipleship. Plainfield Homeschool Group has over 100 member families with children from preschool through high school. We welcome people of all faiths and backgrounds. We have a number of annual field trips and events, as well as a variety of other activities as planned and implemented by member families. We try to keep field trips either free of charge or at nominal cost. We do not have any dues or membership requirements; we communicate mainly through emails. Member families are encouraged to pitch in and organize field trips or other activities; we then send out an email to our membership inviting families to participate. A support group for homeschool moms. We have a lending library, a monthly newsletter and meetings. is an inclusive, secular group for all types of homeschooling families. Whether you’re unschooling, using a more relaxed, eclectic approach or employing an educational program like Montessori or Waldorf, you’ll feel welcome at CHIPS. Our goal is to provide opportunities for social interaction and creative play for our children as well as a place for parents of different homeschool philosophies to meet and interact. Our only request is that we respect each others philosophical and religious differences. Happy Hearts Homeschoolers is a support and play group for families who are homeschooling K-5th grade. Nice to visit your site. Thank you for the link. :o) I was wondering what I needed to do in order to get our support group listed here. Look forward to hearing from you. Gail, I would love to list your group here! All you need to do is send me an email, or use the submit info page and let me know what info you want posted and I’ll get it added on asap. I was looking at your listing for support groups. I am on the Board for ICHE. I just wanted to let you know that CHEC does not exist anymore. We have now assimilated that with ICHE as the Legislative Task Force. We have a Legislative Day on April 27. Also, my husband and I are the directors of CHESS (Christian Home Educators of the South Suburbs) with chapters in South Holland and New Lenox. We are a Christian Homeschool Support Group for the whole Family. We have about 150 families involved with a field trip co-op, Science Fairs, Goegraphy Fairs, Fine Arts Night, and advanced enrichment classes for highschool age homeschoolers. We have a large cap and gown graduation ceremony for 8th and 12th graders. Our website is http://www.CHESShomeschool.org with an informational e-mail of info@CHESShomeschool.org Our contact phone number has changed from (708) 873-0015 to (708) 446-6861 Thank you for updating our listing on your website.